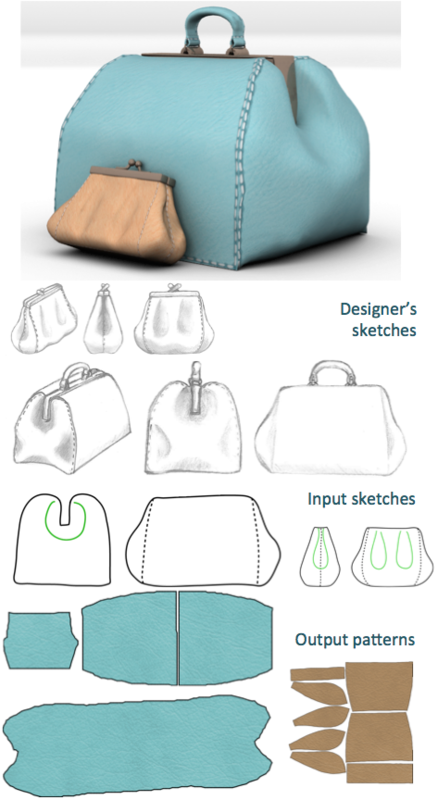 Abstract : We present the first sketch-based modeling method for developable surfaces with pre-designed folds, such as garments or leather products. 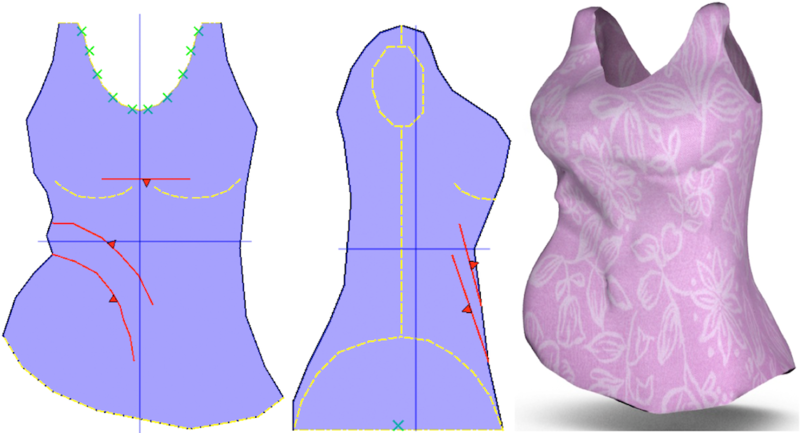 The main challenge we address for building folded surfaces from sketches is that silhouette strokes on the sketch correspond to discontinuous sets of non-planar curves on the 3D model. 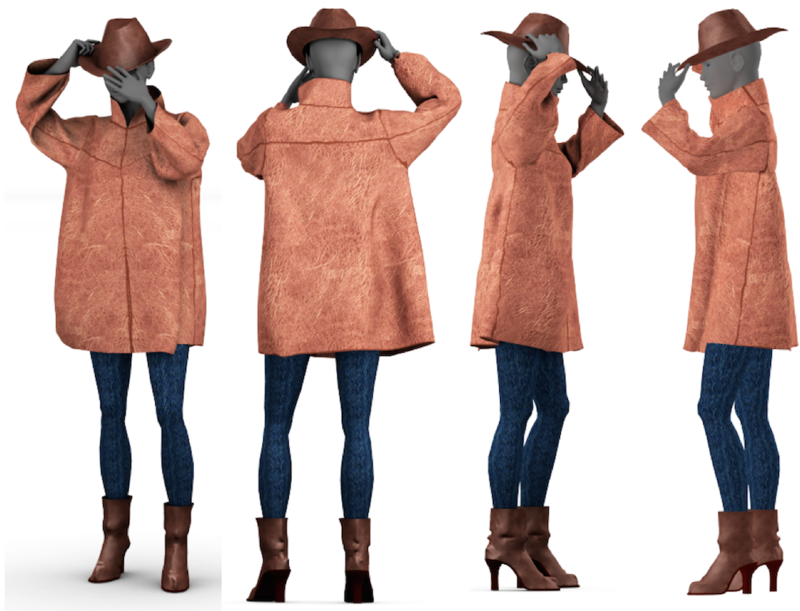 We introduce a new zippering algorithm for progressively identifying silhouette edges on the model and tying them to silhouette strokes. 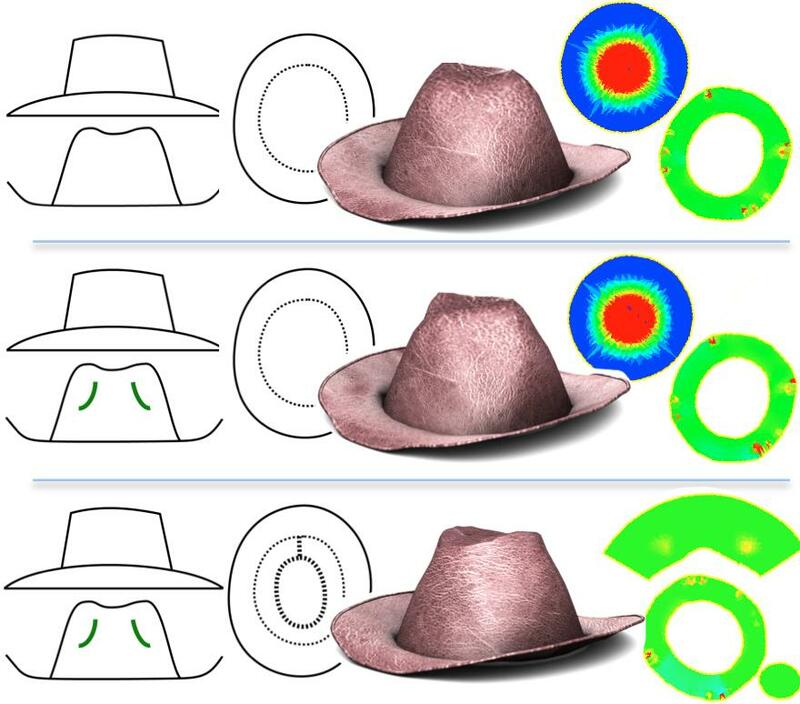 Our solution ensures that the strokes are fully covered and optimally sampled by the model. 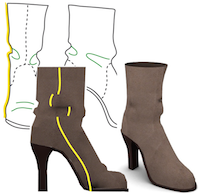 This new method, interleaved with developability optimization steps, is implemented in a multi-view sketching system where the user can sketch the contours of internal folds in addition to the usual silhouettes, borders and seam lines. All strokes are interpreted as hard constraints, while developability is only optimized. The developability error map we provide then enables users to add local seams or darts where needed and progressively improve their design. This makes our method robust even to coarse input, for which no fully developable solution exists.